But will your makeup really be gone? There's no sign of mineral oil in this, for those wary of it. Instead it utilizes other natural ingredients like olive oil, rosehip oil, and mango butter to cleanse and moisturize. It also comes with a little cotton washcloth, which is handy for travel because it's small but effective. It's solid in the jar, but easy to scoop and turns emollient fast on contact with skin. I think it smells positively dreamy, but those who aren't keen on scents in their skincare might not totally love it. It's a soft, slightly sweet floral and faintly fruity scent, so YMMV on if that's a deal breaker. You can definitely feel the oils and mango butter in this, as it turns a bit tacky when mixed with water. You'll definitely need a washcloth to wipe it off, but I did find on me the product didn't totally wipe away. There was a definitely a light bit of oils/mango butter left behind. Personally, I don't mind this because it was moisturizing and didn't cause my skin any problems overnight, but some who like a squeaky clean feeling after cleansing might not totally love that. I would say this makes it an ideal first cleanse, but you might want to use something else for your second else if you don't like that feeling, or if your skin is on the oily side. Pixi Mud Glow Cleanser and Trilogy's Cream Cleanser are great options. Sensitive skin types should note that the bit of essential oils at the tail end of the ingredients lists might irritate your skin depending on how your skin reacts to them. Does it get makeup off well, though? Yes, absolutely. 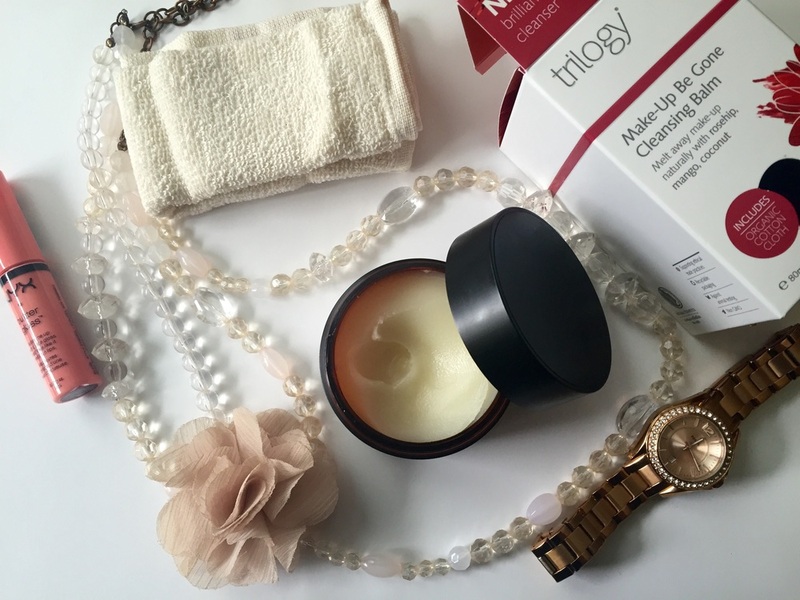 This is a good, solid performing cleansing balm that didn't disappoint and fits nicely into the Trilogy line. You can find it online or in your local Whole Foods for around $38, which all in all isn't bad because you get a decent amount of product. Just remember, a little can go a long way. Will you be adding this cleansing balm to your skincare routine?